INFO ON 2019 CAMP COMING SOON! Mon – Fri, August 6-10, 2018, 9 AM – 3 PM. Sponsored by the Westerhoff Family Foundation, the Maine Community Foundation, the Maine Arts Commission and the RFA. Make great music and great friends at the Westerhoff-RFA Music Camp this summer! Prerequisite/eligibility: 6 months experience playing an instrument or studying voice, or singing in a group setting (chorus or choir); students with no previous musical experience are also encouraged to apply and will be considered for participation on an individual basis. Camp Size: A maximum of 20 students working both individually and in small and large groups. Location: RFA Lakeside Theater and other downtown locations in Rangeley, Maine. Dates, Time: August 6-10, 2018, 9 AM – 3 PM. Before and after hours available for additional fee. Application: Final deadline: July 21, 2018, but we recommend early registration to ensure placement. The Westerhoff/RFA Music Camp is presented by the Westerhoff School of Music and the Rangeley Friends of the Arts. 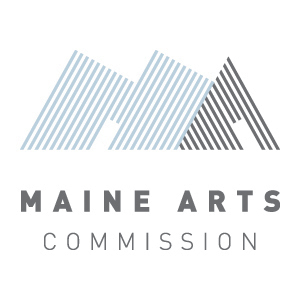 It is supported by grants from the Maine Community Foundation and the Maine Arts Commission. David Iskowitz, pianist, is Music Director of the Westerhoff School of Music & Art. He is also an adjunct faculty member and staff accompanist at Drew University in Madison, New Jersey. Mr. Iskowitz performs often in the New York metropolitan area, both as soloist and chamber musician. He plays regularly in faculty concerts at Drew University and at the Westerhoff School, and frequently appears in local concert series, often in collaboration with instrumentalists and singers. He has performed with the Brunswick Symphony Orchestra and at Merkin Hall in New York City. He is a graduate of the Peabody Institute of the Johns Hopkins University. Timothy Macek is conductor of the Howard University Symphony Orchestra and instructor of violin and viola. A native of the Washington, DC area, Mr. Macek studied violin with Renato Bonacini, Elisabeth Adkins, Charles Treger and Donald Portnoy and conducting with Vytautas Marijosius and Stephen Heyde. As a former member of the Hartford Symphony Orchestra and current member of the Kennedy Center/Washington National Opera, Mr. Macek has participated in over 2,000 performances of symphonic, opera, ballet and musical show literature, under such conductors as Heinz Fricke, Valery Gergiev, Leonard Slatkin and Mstislav Rostropovich. Mr. Macek was formerly Assistant Orchestra Conductor at the University of Wisconsin-Eau Claire and is a frequent performer of chamber music in the DC area. Erin Smith earned her Bachelor of Music Education degree from Westminster Choir College in Princeton, NJ. This fall, she will begin her 16th year at the best job in the world, as the K-12 Music Teacher, Choral Director and Drama Director at her alma mater, Rangeley Lakes Regional School. She has performed in, choreographed and directed numerous RFA productions. Erin also enjoys singing in the a cappella group, The PEPS, being an alto in the Community Chorus, and spending time with her 2 boys, Evan and Parker.